Change. It’ll do you good, or so says Sheryl Crow, and who are we to argue with Sheryl Crow? 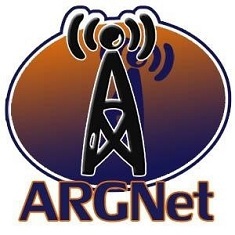 After a small statement about a year ago regarding the backend of the argn.com web site comes the all new, shiny and sleek 2009 version of the web site. This year’s model — and no, we’re not going to be updating the look every year, mmmkay? — comes with a powerful WordPress 2.7 engine under the hood, some fancy new Web 2.0 AJAX-y image handling, and a much needed management system for the What’s Hot list in the sidebar. Other enhancements include a more aesthetically-pleasing comment system (that’s for you), a quicker load time (again, for you) and a comment spam system that doesn’t make us want to gouge our eyes out with rusty scissors (for us, definitely for us). As the transition went down earlier today, I had the feeling that things would go horribly, horribly awry. Much to my chagrin, nay, AMAZEMENT, everything has seemingly gone off without a hitch. That is not to say we have overlooked nothing, so if you find an error or a cause for concern, send us a note via our contact form. The site redesign could not have happened without the full cooperation of the ARGNet staff — you can read more about them by clicking on their names in the sidebar over -> there. I would also like to extend a special thanks to drizjr and Alex Farnsworth who answered the call for volunteers and dedicated their time over the last few weeks to getting posts edited and ready for the relaunch. Between the staffers and the two volunteers, a whopping 1,555 tags were applied to 695 posts in 16 categories, which is no small feat in itself. We hope you like the new design, and hope you continue to visit for the latest news, rumors and interviews related to alternate reality gaming, cross-media entertainment and experience design! Well, I can already tell you that you need to fix the link telling us we can contact you via your contact form. I think you missed a closing > unless you meant it to be a puzzle as to where to send bugs to. Hah! Yeah, I fixed that bit of code, thanks Rowan! Much better. Easier to read and navigate. Nice work.